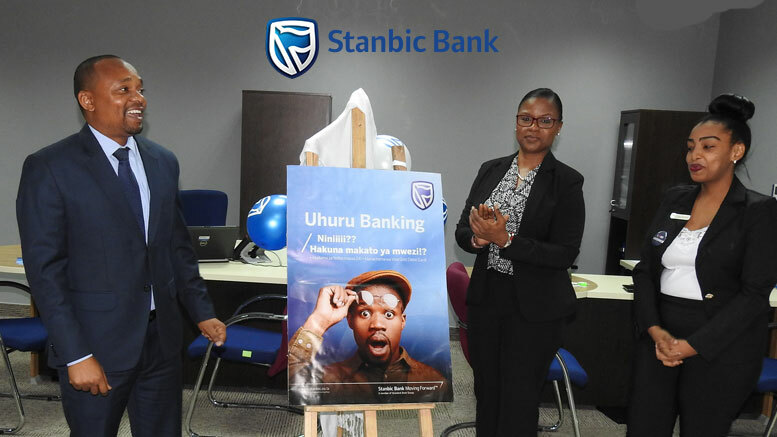 Stanbic Bank Head of Personal Market, Mussa Kitoi launching the Bank's Uhuru Banking in Dar es Salaam. Flanking with him is Desideria Mwegelo, Stanbic Bank Head of Marketing and Corporate Affairs and Grace Hayuma, Team leader, Customer Service. The name “Uhuru” reflects the unique offering which provides customers an account with no monthly management fees, a gold visa debit card that can be used globally and more freedom to transact through its self-service channels on mobile devices. Following feedback from its customers, the bank has enhanced its Personal Banking offer that previously segmented accounts as Silver, Gold, and Blue. The new offer streamlines the accounts into Uhuru Banking and empowers the customer with the freedom and flexibility over their transactions on digital platforms. “Uhuru banking is a response to feedback we received from our customers on our products and services. Our customers are at the heart of everything we do at Stanbic and we are committed to empowering their financial success, said Brian Ndadzungira, Head of Personal and Business Banking. Tanzania’s young and vibrant population demands products that fit their lifestyle; customers can have tailor-made financial services with Uhuru banking. “This proposition aims to make progress real for Tanzanians helping them to move forward with their financial goals,” Brian added. 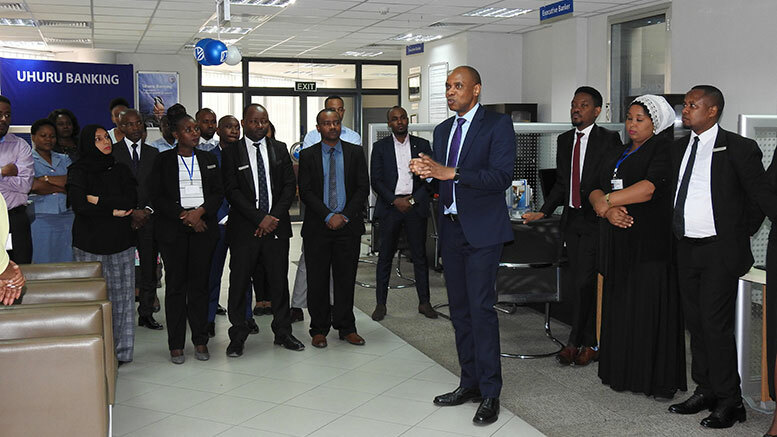 Stanbic Bank Head of Personal and Business Banking, Brian Ndadzungira speaking to the Bank’s staff and customers at Center branch during the launch of Uhuru banking.